A lot of people are trying out different ways to save money and some of them go to the extremes just to make it happen. Some would try to live off on noodles for months just to get some savings into the account. There are some who will walk miles and miles to and from work just to save on transportation cost. For those with houses of their own, they also try and look for ways to save up some money the best way they know how. As Statisticbrain.com shares that about 65% of American consumers own a house in 2013, there are a lot of people have to meet big mortgage payments while simultaneously trying to save some funds despite their limited resources. This is quite a challenge because the mortgage payment every month can easily be the biggest expense in the household budget. Regardless if it is a fixed interest rate, the payments can still change every month. For those that makes escrow payment every month, the taxes and insurance payments can go up and down year on year changing the house payments. With this expense combined with all other living expenses, there are a good number of homeowners who are having a hard time looking for smart ways to save money. This becomes a lot harder when there are kids involved because the costs at home significantly increases with every child added into the family. The reason why it is very difficult to put aside money is simply because it is really expensive to maintain a home. Your expenses would include repairs, utilities, and other items that would make your home not just livable, but also comfortable. Saving on car expenses is different because it is smaller and requires little compared to what your house will take from you. The tips to lower car costs becomes easier to follow. 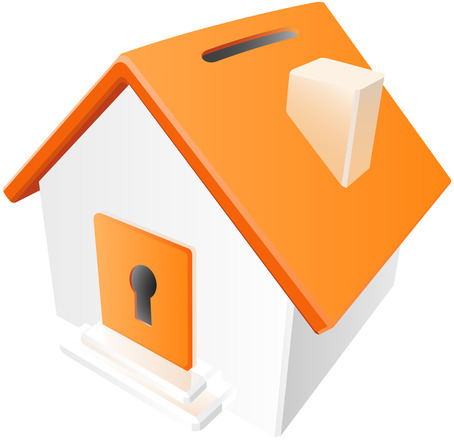 But despite the obvious difficulty, it does not mean you cannot save money through your home. Homeowners need not fret because there are a lot of ways to stop overspending at home. Here are some tips to consider when you are trying to save money at home. Upgrade your appliances. This might sound a little bit counter productive to what you you are trying to accomplish. If you are trying to save some funds in the budget, the last thing you need is to spend money buying new equipments at home. But there is good reason behind this. The older appliances has the tendency to use up more electricity. Newer appliances can be more energy efficient and can actually help you get the job done (like laundry or baking) at a lower cost. You reap the benefits when you see the bills at the end of the month. Do not compete with neighbors. This is one area in your life that you have complete control over but you sometimes choose to look the other way to one up your neighbors. If you see them pulling up the latest SUV model in their garage, you decide to go the the dealers the next day and get something more expensive just to show people that you have made it. If you see them renovating a new room, you suddenly hire contractors to put up another level in your house. Stop competing with the people around you and save money instead if increasing your lifestyle. Monitor heating and cooling in the house. If you are out of the house, there is no need to heat up the house unless kids at home. Try to adjust the temperature accordingly with the time of the day and the number of people inside the house. This can benefit your electricity bills greatly and save you some funds for the rainy day. There are self regulating temperature controls that you may want to invest in. It could save you a lot in the long run. Check your water use. This is again one of the simple tweaks that people tend to forget and end up paying a lot for water bills. If you do the laundry, try to do it once or twice a week when you already have a lot of clothes to wash. Loading up a full dishwasher rather than making several loads can also save you water which can lower your bills at the end of the month. Fix for prevention. When you see areas in the house that needs a quick fix, do it! Do not wait for it to get bigger and require experts to fix. You can basically address small house repairs like a broken hinge, busted lightbulb or a leaking hose. Bring out the DIY persona out of you and repair small problems at home. It helps you save money by not having to call professionals when you can no longer fix the problem. Cleaning can save you money. More than prolonging the life expectancy of some household equipments, it can also keep you and your family from getting sick. Make it a habit to clean around the house and you can even get your kids to help you out. Make it a family affair to get them used to cleaning their surroundings. Financial fitness can start from a healthy body. Declutter and minimalism is a plus. Letting go of old items that you do not need anymore can help you declutter and even earn a little from the sale. It can also help you save space in the house is one great mental practice for relieving mental stress. Investopedia.com even explains that minimalism is gaining traction as a popular lifestyle with Amercian consumers with the goal of living back to basics. Unplugging can save money and lives. When you are not watching the television, unplug it and not just turn it off. Do you see that little red light on the panel? It means that it is on standby and still consuming energy. Not a lot but still adding to your electric bill at the end of the month. Making this a habit can help you save electricity and even help prevent the risk of short circuiting the appliances which is a leading cause of fire. What to do with the money that you saved? Now that you have been able to save money with a few simple tips at home, what do you do with it? Do you paint the town red or set up a dinner date with your friends in that fancy new restaurant that just opened up? Here are some ideas how you can put that money into better use. Add to your reserve funds. This refers to your emergency fund and rainy day fund – both of which helps you face financial problems in the future. The bigger your reserve funds are, the longer it can fuel your budget even with an impacted income. Add to your retirement fund. The sooner you start building up your retirement fund, the more proactive it becomes with the help of compound interest. You also get the chance to retire at a date that you want rather than need. Pay down credit card debt. Credit cards usually have the highest interest rate among all financial credit instruments. The sooner you pay off your debts, the more you can save on interest payments. Put in a college fund. Bloomberg.com shares a report that the student loan payment delinquency increased in the lat quarter of 2014 from 11.1% to 11.3%. This might look like a small increase but it actually represents millions of loan holders in repayment trouble. You can actually help your children attend and graduate higher education debt free by building up their college fund early on. When you are able to save money, you get the chance to use that amount to better your financial standing. Saving funds from an already tight household budget might sound hard and challenging but it is definitely not impossible.